Unless you own a .22 rifle and have extraordinary shooting skills, getting rid of skunks in your yard involves a lot of trapping, repellants, and general tidiness. 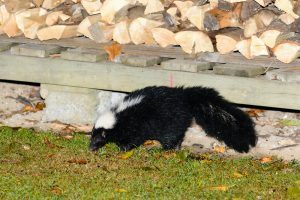 Having skunks in your yard presents a number of safety and health hazards. Apart from being sprayed by their chocking musk, they’re also known to be great carriers of diseases, such as rabies, and pests that can harm your family and pets. They’ll also topple your garbage cans and open your trash bags, which ultimately attracts insects and other vermin to your home. So, how can you keep these musky animals from your home? Skunks are skittish and shy animals, so if you find them in your home, there’s probably a compelling reason for that. Is your trash can properly covered? Do you have an open compost pile in your yard? If you don’t want to attract skunks to your neighborhood, ensure you regularly clean your yard and secure your garbage cans. Moreover, don’t leave your pets food outside or just feed them indoors. You can also cut their food supply by getting rid of fallen fruits from the trees in your yard. Skunks love creating their hideouts under porches, decks, and other well-sheltered places. Ensure you close off all the open holes that may seem conducive for them to live in. Also, remove piles of log and any other building materials from your yard as they provide shelter for skunks. Instead, store these items in a shed. Don’t forget to trim large bushes and cut down the grass so that your home is not appealing to these vermin. 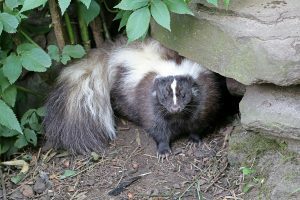 As ironic as it may sound, skunks hate certain types of smells. Some of the most common natural skunk repellants are predator urine (from animals like coyotes, dogs, or wolves), ammonia, mothballs, citric smell, and cayenne pepper. Skunks are known to be nocturnal animals, and don’t like too much light. A motion detector flood lights should certainly startle them away. Alternatively, you can use a motion-activated sprinkler in your yard. This device senses the motion of these animals and sprays a burst of water on them while creating a ticking sound – shooing the skunks off. The light, noise, and spray of the repellant will make the skunks reluctant to come back. Before you use this method, check with your local wildlife agency to confirm whether trapping of animals is legal. 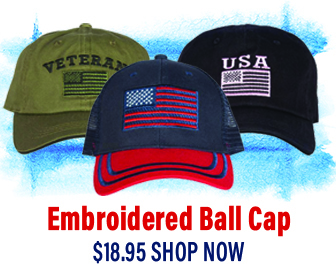 If it’s allowed, you can rent or buy one at your local garden or hardware store. Set the trap at a place where skunks frequent and bait it with some vegetables or fruits. Check the trap every morning and evening and see if you have any caught. Remember to replace the bait if it goes bad. Once you catch the skunks, relocate them to a nice forested area that’s at least 10 miles away from your neighborhood. Also, patch up all the holes that they may have created to discourage new skunks from settling in. If a fence won’t cramp the style of your beautiful landscape, you may consider installing one. Skunks may be skilled diggers, but they are actually terrible climbers. If you are installing a fence, ensure that it is buried at least one foot down and extends at least six inches horizontally. You can also line the base with some rocks to improve your chances. Remember to choose a fence with small gaps. Skunks may seem large, but can actually fit into narrow spaces. The elusive sulfur thiols produced by the musk glands of the skunks are both unquestionably disgusting and hard to remove. Fortunately, there’s a home-made remedy to this. So, get your lab coat, because you are about to create “Chemical X” – one that will ensure your home is stink-free. 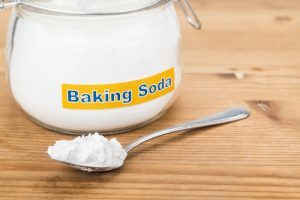 Just mix a teaspoon of dish soap with one quart of hydrogen peroxide and a quarter cup of baking soda. Rub this solution onto the areas with skunk stink, and let it work for some few minutes. Rinse and repeat until the stink is gone. The pungent order will be oxidized by this solution and rendered inert. For heavy-duty jobs, you can use neutroleum-alpha epoleon –which is usually used by professional decontaminators and exterminators. You can easily find these skunk smell removal products on the internet. Before you use it, however, it is recommended that you try to use it on a small part of the affected area and check its effectiveness on a particular material. More importantly, ensure that your children and pets do not come in contact with the chemicals.